1987. 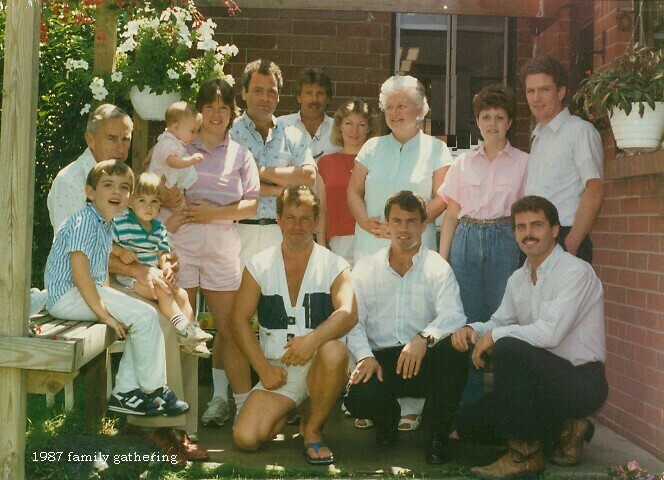 From left to right is Jason, Dad with Troy Janssen on his lap, Marylou holding Robin, Bill, Mark kneeling, Jim, Lynn, Mom, Mike kneeling, Melissa and me, and Greg kneeling. Greg and Dad had just finished installing this arbor on the back patio of the Colonial Drive house.